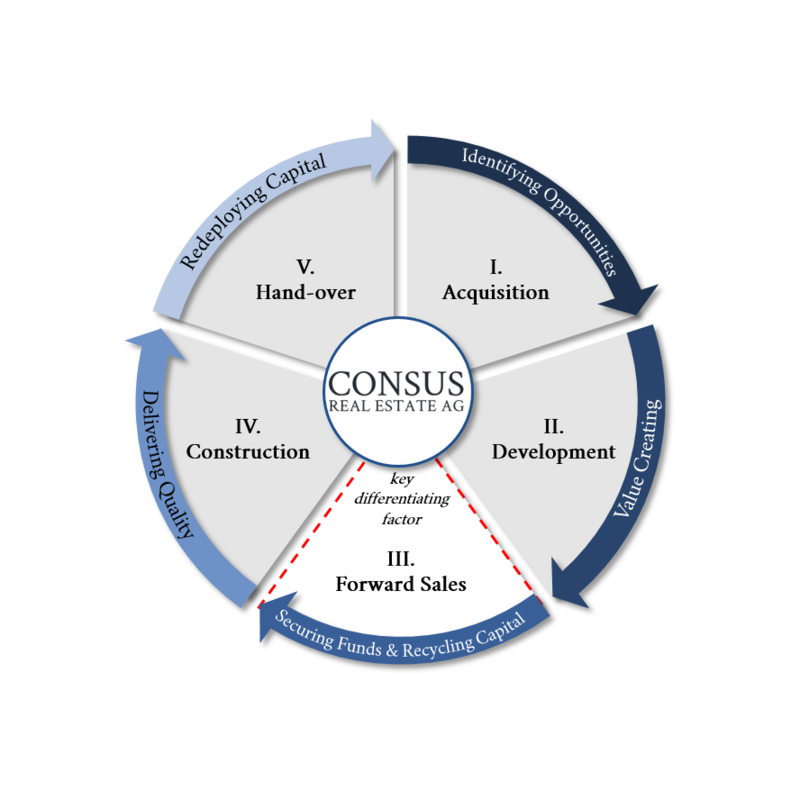 Consus is a fully integrated property developer and covers the entire value chain: early forward sales prior to the start of construction work lead to early cash flows and a significantly reduced-risk profile for development projects. The nationwide operating group with its subsidaries has been designing and marketing residential and commercial properties for more than 20 years. Its core business is the rental residential construction for institutional investors. In this segment, the Consus Group is the market leader in Germany. Its business activities focus on selected locations in Berlin, Leipzig, Dresden, Stuttgart, Munich as well as Frankfurt, Cologne, Dusseldorf and Hamburg. More than 750 employees ensure a high quality standard and professional execution of properties through acquisition, planning and construction.